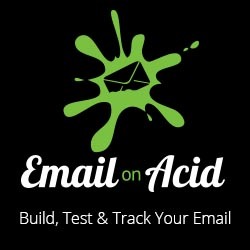 Hello, I’m Justin Khoo and I’m passionate about email – specifically email coding and tricks. I created FreshInbox after realizing that email is finally growing up and is starting to adopt cooler new capabilities such as media queries and interactivity and wanted to create a space to blog about it. If you have any questions about any of my posts, would like to hire me to work on a campaign, want free troubleshooting tips on some particularly gnarly email issue or just want to say hi, feel free to reach out to me at justin ‘at’ freshinbox.com. I stumbled across your website while doing some research. Great stuff! I work for a small email marketing software provider in Alameda, California called Goolara. They don’t have much of a presence in the email marketing community right now, but I am trying to rectify that situation. Their software is very good and it comes in both on-premise and hosted versions. Justin…there’s a million small biz owners like me out there that survive doing all this stuff ourselves. Our budgets are limited yet we know about these techniques, want to embrace them but get bogged down in our day-to-day business. There’s a HUGE need for experts like you who can help us out. Get on initially for an affordable sign up fee, pay you to give us monthly upkeeping and slowly help us grow our businesses, which in turn grows yours. Ever thought about offering this service instead of just aggregating your awesome advice and dishing it out free? I’d sign up…if I could afford you..
Mike, thanks for the kind words! Feel free to ping me via email.